The Dexter 6 1/2 X 3 in. 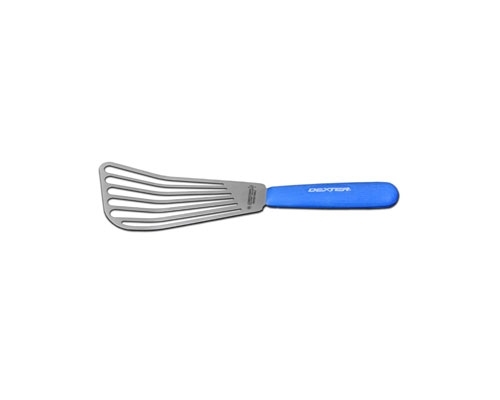 Cool Blue Slotted Fish Turner's handle withstands temperatures up to 500F. The stainless steel blade of this turner features beveled edges for easier flipping.